If you’re having this problem where the doors in your kitchen are not aligned correctly it may be a simple task or a complicated one to get things straight. 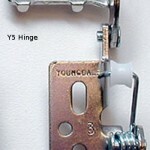 Decorative, Y-5, Y-7 and concealed cabinet hinges all have different methods that need to be used for making adjustments. 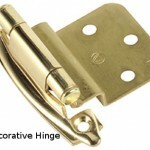 What kind of hinge are you working with? 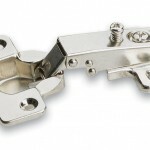 If it is a European style concealed hinge please refer to this article about adjusting European cabinet hinges. These are by far the easiest types of hinges to adjust but the most common style that gets out of adjustment. 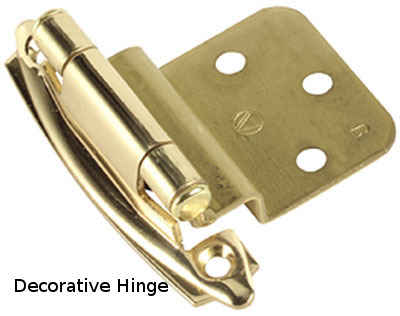 Basically, all externally mounted decorative hinges, whether brass, antique, chrome, black or white, will have the same type of hole configuration for mounting the hinges and making alterations to the positioning of the doors. When kitchen or vanity cupboard doors are out of alignment there are a couple of things that you need to look for. Although each hinge is different, the principles are the same for getting them into their correct positions, something needs to be lowered, moved higher, pulled out or pushed in on the cabinet doors adjustment. 1) You’re looking for some indication of a slotted screw hole on the hinge. 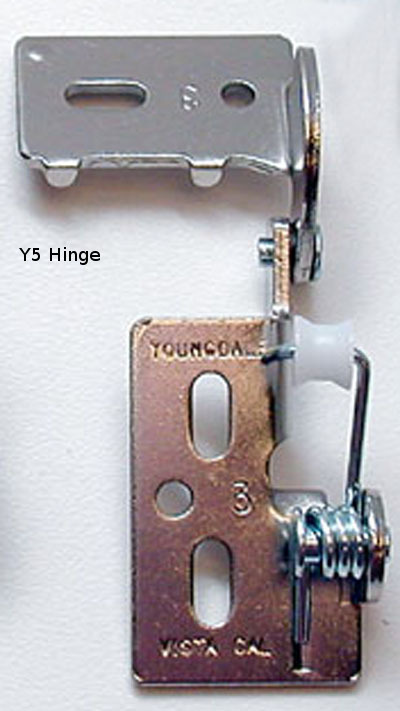 Y-5, Y-7 and European hinges generally have some type of slotted hole on the hinge plate that allows you to align the door up or down more. If the adjustment is maxed out, you may need to put the screw in a different place. If you are adjusting spring cabinet door hinges, click the phrase and watch the video. 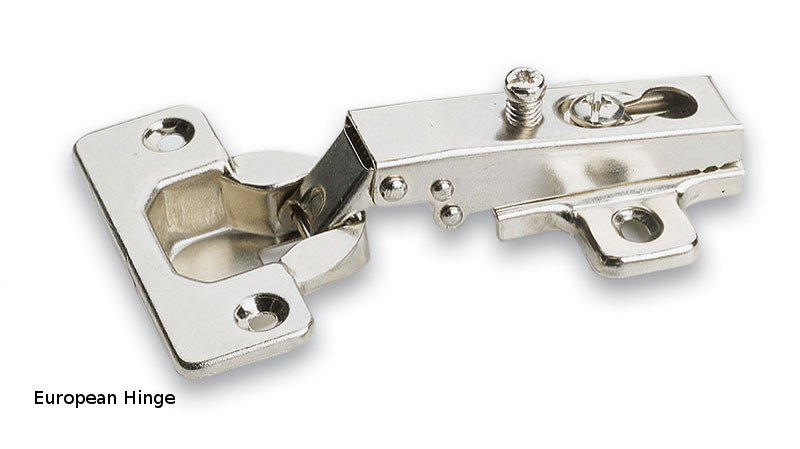 2) Decorative hinges will not have this slotted hole adjustment. You will either have to loosen the screws and gently push the door into a different position, while tightening the screws, or you may have to add shims somewhere. It may be a requirement to reposition the screw placement altogether. I never said that this would be easy. 3) DO NOT try and force a door into position by twisting, pushing or pulling it in various directions by applying force. This will only create more problems. All of the adjustments should be made by loosing, tightening or moving screws. 4) It may be necessary to put wooden tooth picks into screw holes where you have to reposition the screws to get the kitchen, bathroom or laundry room door to align correctly. This article will give you more details about repairing stripped screws on cabinets. 5) If the door is not touching the face of the cabinet properly, it may be necessary to use some type of shim to move one corner away from the cabinet so another on touches. Shimming cabinet parts is a common practice in the industry. Tip: Never force the issue when you are trying to get the doors lined up straight. If you try to do this you will only be creating more headaches for yourself if you break a hinge. By taking your time and really thinking about how one action will affect the operation of the Thermofoil cabinet door or wahtever kind you have, you can figure out what you will need to do in order to get one corner of the door to move up and another to go down, this side to move over and another to move back. Careful examination combined with common sense will yield professional results when realigning cabinet doors. I can tell you right now that it is going to be a frustrating and somewhat of an irritating process to get the doors aligned right. That’s why professional cabinet makers charge good money to do these types of adjustments. Realigning Formica cabinet doors or any style is a tedious process. Sometimes the originally installer did not take sufficient time to ensure that the adjustments were correct in the first place. I have encountered so many situations where the doors where not aligned properly when the cupboards were put in. If you have to move a screw to a completely different place don’t hesitate to do this because it may have never been adjusted correctly in the first place. When our cabinets arrived, the doors and drawer faces were all crooked. At first, I thought we’d gotted damaged cabinetry, but it turns out that after a few hundered miles in a truck, that happens. It was solved with just a few minutes with a screwdriver. The article is right, those Euro hinges are a lifesaver. I’d recommend that everyone gets cabinetry with those already a part of it. Don’t even consider anything else. Where we got ours, http://www.totalkitchenstore.com, that’s a standard feature.